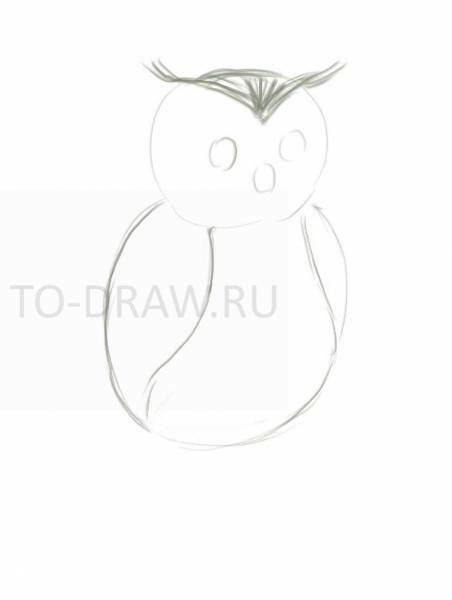 How to draw an owl pencil stages? 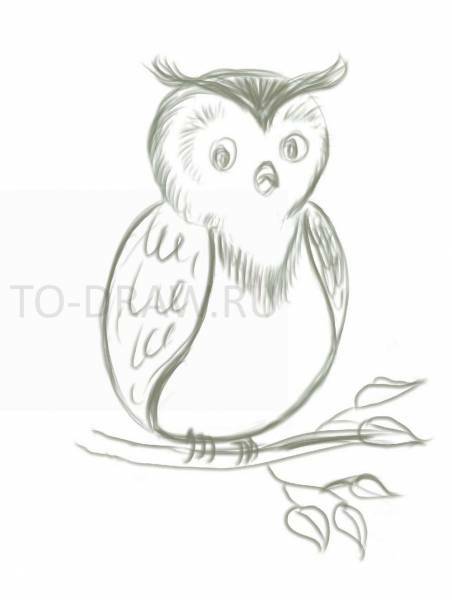 How to draw an owl pencil a few short steps? The owl is a bird with bright characteristic appearance. I think the owl or eagle owl difficult to confuse with any other bird. Today we will examine one of the many variants of drawing owls. 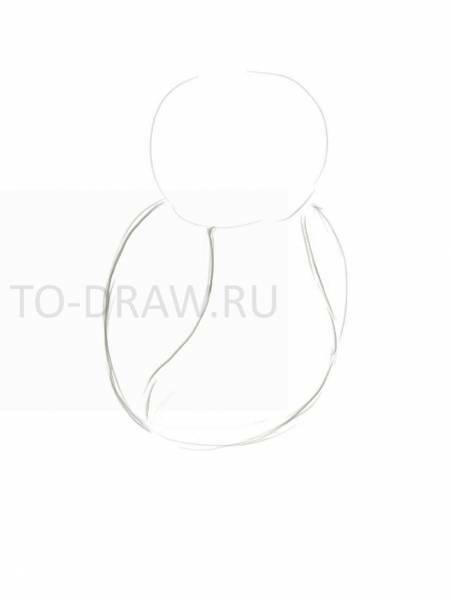 Option extremely simple, so that it could draw the child or man, who never took a pencil in his hands. So, first let's draw a round head and pristique to her plump oval. The owls are very fluffy plumage, so it is almost always fluffy, as if the fat. On the sides draw wings wavy line. Our bird will be slightly rotated, so one wing we draw more and more smaller. 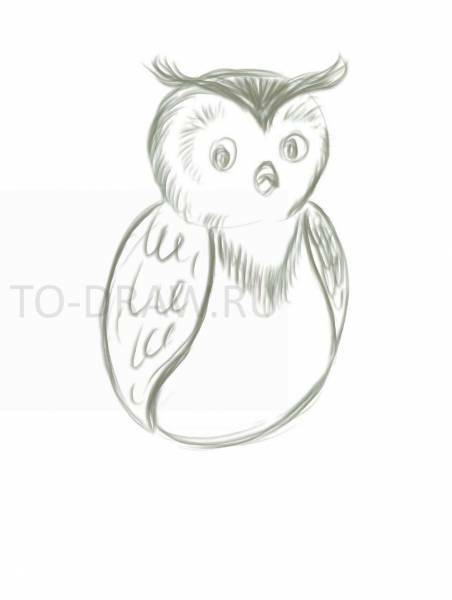 Draw the initial sketch owls. Next, the triangle with the "ears" will draw the feathers on the head. Triangle this is also shifted slightly to the right, as the head of the owl turned to the right. Then draw three oval - future eyes and beak. Add details to the picture. The next step will doricum eyes and beak. Please note that the beak of the owl strongly bent - that is, from the middle of the oval we will draw the box upside down. Draw the feathers on the breast and wings. Well, the last stage draw paws and a sprig. Add legs and a branch of a tree.